Get Free Intraday Jackpot Call for Today. We give highly accurate Jackpot call & daily Free Intraday Tips on which you can trade with full trust. We give this call at any time in NSE market hours. Now a day lot of Stock Advisories are giving Jackpot calls. We send One Equity Call and 2-3 F&O Call in a day. We have given a special name for one of our F&o call i.e Jackpot Call. When our Team is sure about the call hiting our Target we send jackpot call. You are sure to get 3-4 Jackpot calls in a week. Safe traders are requested to book profit on our 1st target and risky can hold for 2nd Target after changing the Stop loss at Buying levels. We, at A1 Intraday tips provide Money Making Jackpot calls for both Free Trial members and Paid members. We are dealing in Indian Stock market since longtime and we are a one of the leading stock tips Provider Company in India. We provide jackpot calls for intraday stock traders with both entry & exit price, with success ratio of 80% to 90%. We always give always Jackpot call in F&O segment but small intraday traders can also trade in cash segment. In any circumstances if stop loss triggers in our Jackpot Call, then we sends SMS for the same. We don’t hide our negative tips in Stock Market like other tips providers. We display our negative jackpot calls in red colour. We request you please do not be panic to trade in this call because we will give complete follow up of target hit and exit call in this call. How to Trade in our Jackpot Call? 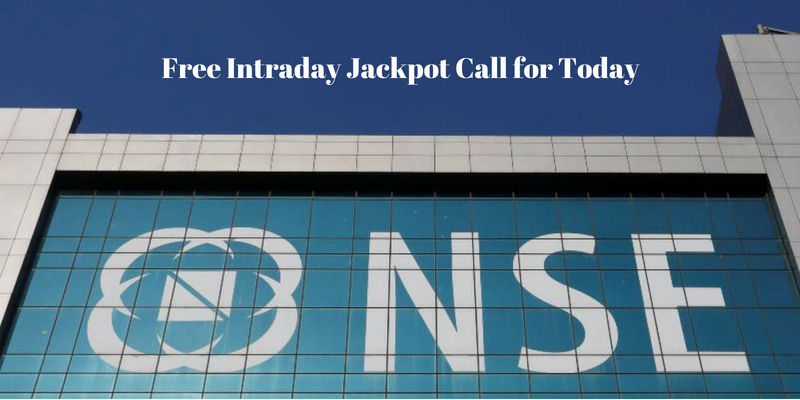 A1 Intraday Tips provide jackpot call any time during the day, but generally between 10 am to 12 am during the NSE Stock Market. Our Technical Team gives completely follow up for this Jackpot Call till the call is open. Generally we give this call 3 to 4 times in the week. Our Stock Market technical team gives this Jackpot call when they are 80% to 90% Sure that given targets will hit. But still we request all members not to put all your fund, intraday exposure in our jackpot call and Nifty Option Tips. We recommend Trading in all of our intraday stock tips (Equity, F&O, Jackpot, Sure Shot, BTST) with equal amount. If you have a small capital and Intraday exposure buy in small qty. Trade in our all intraday calls with equal margin by dividing your intraday exposure in 3-4 parts for every call. Our Techical Team do carefull Research of the stock before they send jackpot call by sms. We have also some latest softwares which show charts as per required time frames, technical indicators very quickly. This all data is gather by a team and they pick the best calls for the day. Kindly note, we do same research for all over calls like Intraday, F&o, Jackpot, BTST/STBT, Sure-Shot before they are sent for trade. You can also Trade this call in Cash & F&O Segment of stock Market. A1 Intraday Tips provide 3 to 4 Jackpot calls a Week. We recommend high volume stocks and avoid penny stocks. Complete Follow up Till the Jackpot Call is open. Stock Tips given at Prevailing Price in the Share Market. Made Good Profit in the Intraday, Jackpot Calls, F&o Tips. Overall Service is very good. Especially I like your Fast tips Sms Service & Exit Call System. Your tips have very good performance.